Our highly trained crews have the skills and equipment to ensure that you receive outstanding workmanship. We know how to take projects from blueprints and design concepts to finished projects that provide years of durable service. When you trust our team with your job, you'll have access to a professional company who has more than 20+ years of combined experience. 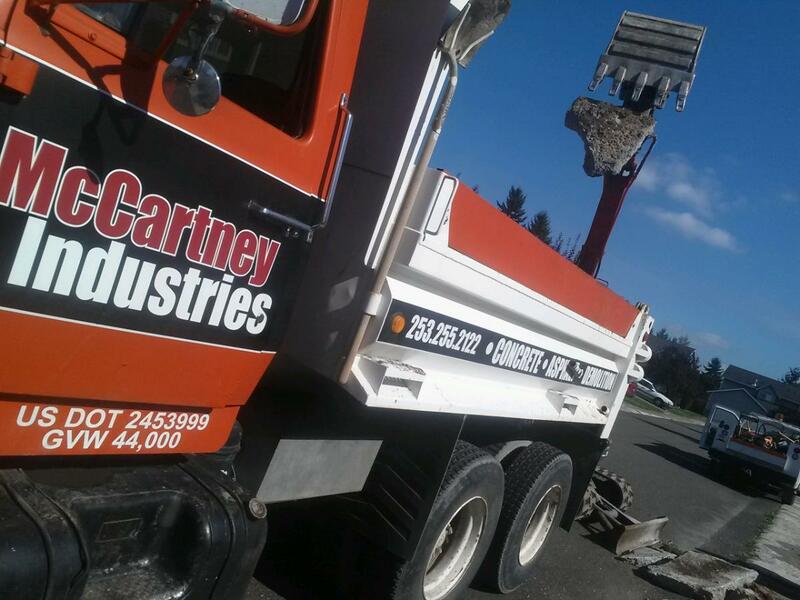 As a locally owned and operated civil construction contractor, McCartney Industries LLC is dedicated to the satisfaction of all of our customers needs. We're proud of the excellent reputation that we've earned in the area, and you may appreciate our commitment to high-quality workmanship. Left to Right: Rick, Driver Dan, Jake, Miguel and Ubaldo. Matt McCartney leads the crew!